Detecting and treating dental problems at an early stage can save you time, money, unnecessary discomfort, and most importantly, your teeth! Dental x-rays produce a low level of radiation and are considered safe. Dr. Shelden takes necessary precautions to limit the patient’s exposure to radiation when taking dental x-rays. These precautions include using lead apron shields to protect the body and using modern, fast film that cuts down the exposure time of each x-ray. Dr. Selden has taken the precaution one step further by committing our office to the use of digital x-rays 100% of the time. Digital x-ray is the lastest technology used to take dental x-rays. This technique uses an electronic sensor (instead of x-ray film) that captures and stores the digital image on a computer. this image can be instantly viewed and enlarged, helping the dentis and dental hygienist detect problems easier. Compared to the already low exposure of traditional dental x-rays, the use of digital x-rays lowers the radiation exposure by up to 90% by using lower doses and higher speeds of exposure. The need for dental x-rays depends on each patient’s individual dental health needs. 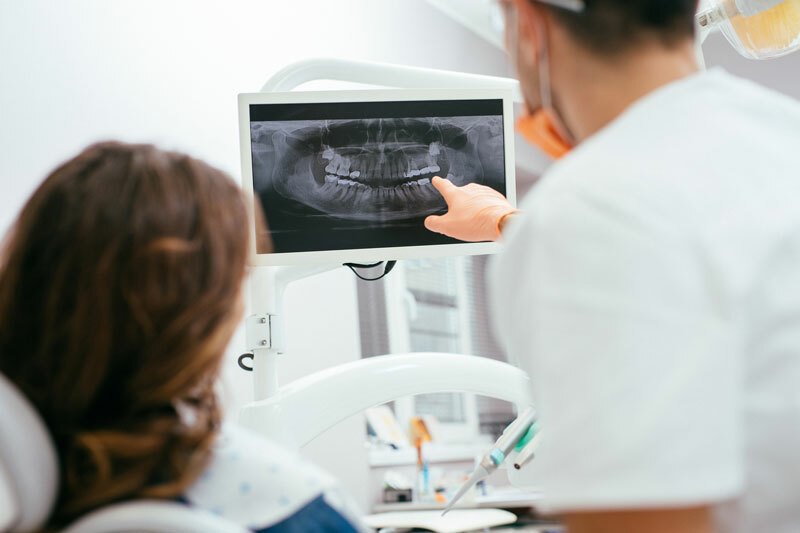 Dr. Shelden and dental hygienist will recommend necessary x-rays based on the review of your medical and dental history, dental exam, signs and symptoms, age consideration, and risk for disease.